Today we celebrate the anointing of the Holy Spirit. We have invoked, or asked, the Holy Spirit to rest on Reese, this her Confirmation Sunday, as she witnessed to her Christian faith and her beliefs in God, Jesus and the Holy Spirit. We asked the Holy Spirit to bless her and equip her as a disciple for Jesus Christ, and to carry that out into the world wherever she may be. 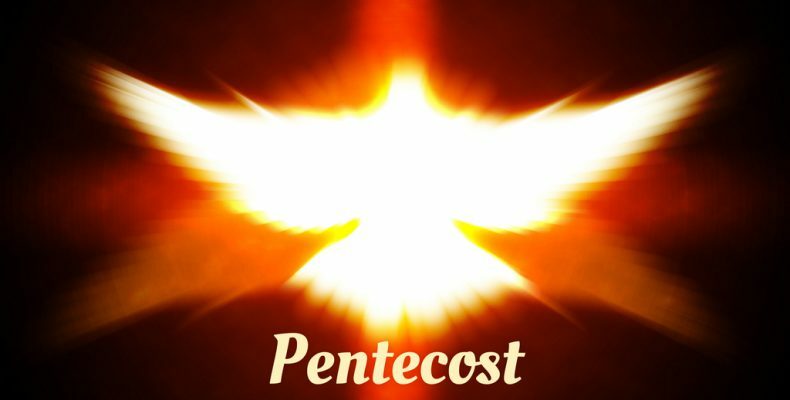 Today, all across the world in our Christian churches, we celebrate Pentecost Sunday. It is 50 days since the resurrection of Jesus. “Pente” is the Greek word for five, and “Pentecost” means fifty. Something wonderful happened on this day when the Holy Spirit descended on the disciples of Jesus gathered together in Jerusalem. The Holy Spirit came upon them in a powerful, awesome, dramatic way equipping them to testify, to witness, to their faith in Jesus Christ. 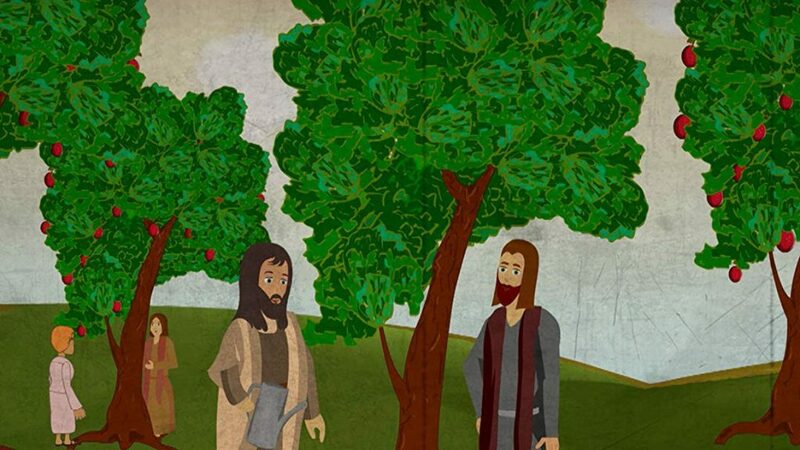 The disciples were destined to spread the word of Jesus into all the world. And on this Pentecost day in Jerusalem, people from countries and nations outside Israel, from the outside world, were gathered there to hear it! There were three great Jewish festivals in the year – Passover, Pentecost and the Feast of Tabernacles. If you were a male Jew living within twenty miles of Jerusalem, you were legally bound to attend these festivals. At least as many people came to the Feast of Pentecost as came to the Feast of Passover. That explains the roll of countries mentioned in Acts chapter 2. Never was there a more international crowd in Jerusalem than at the time of Pentecost. The Pentecost festival specifically fell on the fiftieth day after Passover because it celebrated Moses receiving the Ten Commandments 50 days after leaving Egypt with the great Israelite Exodus. The Jewish Pentecost festival celebrated the receiving of God’s Word and God’s laws. Is it any wonder that God chose to reveal God’s new Word and new “laws” in Jesus at this particular Pentecost festival 50 days after the resurrection of Jesus? On this Pentecost day in Jerusalem, the Holy Spirit came to the Christian apostles and believers in a very special way. It was one of the supremely great days for the Christian Church. The disciples had an experience of the power of the Spirit flooding their beings such as they never had happen before. The Holy Spirit manifested itself in such a momentous way that the disciples received the power to go out and deliver the message of the gospel of Jesus Christ into the whole world. This Pentecost event is sometimes referred to as the “coming” of the Holy Spirit, but there is a danger here if we think the Holy Spirit came into existence at this time. This isn’t so! The Holy Spirit is God in every age throughout history revealing God’s truths to humankind. God is Father, Son and Holy Spirit eternally, always was, always is, and always will be. The book of Acts makes this quite clear. At the same time, we recognize that something very special happened at this Pentecost event in Jerusalem. From that moment, the Holy Spirit became the dominant reality in the life of the early Church. The early Church was a Spirit-filled Church and that was the source of its power. All the leaders of the Church were men of the Spirit. The early Christian Church was a Spirit-guided community and the Holy Spirit was the source for all its guidance. And that reality continues for us today! The Spirit is the source for direction, the source for day-to-day courage. The Christian courage to meet the dangerous situation, or the difficult challenge, the Christian power to cope with life more than adequately, the Christian eloquence when eloquence is needed, the Christian joy which is independent of circumstances – are all ascribed to the work of the Spirit. Acts 5: 32 speaks of the Spirit “whom God has given to those who obey him.” This has in it the great truth that the measure of the Spirit which a person possesses is based on obedience to God. To listen to God and respond. The person who is honestly trying to do the will of God will experience more and more the wonder of the Spirit. The Spirit of Christ, the Spirit of God, the Holy Spirit our Counselor – this divine Spirit literally enters our very beings. The Spirit is with us today, just as it was with the disciples long ago. If we listen carefully, we can hear it, and if we are open, we can welcome it into our hearts. We just have to ask. Let us gladly receive it! Amen. We work to provide spiritual development for all ages through worship, teaching, study, and experience in an atmosphere of love and Christian fellowship. Sunday Worship Time: 10 a.m. Sunday School and Nursery available September to May All are welcome! We are saddened by the death of Evelyn Broadfoot's son Larry. Larry Broadfoot's obituary can be found at this link. © 2018 Parkview United Church. All Rights Reserved. Website design and development by KayKo Designs.